Crestwood has been providing residential mental health recovery services in Bakersfield since 1998. The Crestwood Behavioral Health Center and Psychiatric Health Facility are innovative programs based on Crestwood’s commitment to providing mental health clients a continuum of care that puts them on the road to recovery. All Crestwood Bakersfield’s clients, regardless of their area of focus, participate in the Wellness Recovery Action Plan (WRAP) treatment model, a self-help recovery system designed to decrease symptoms, increase personal responsibility, and improve the quality of life. 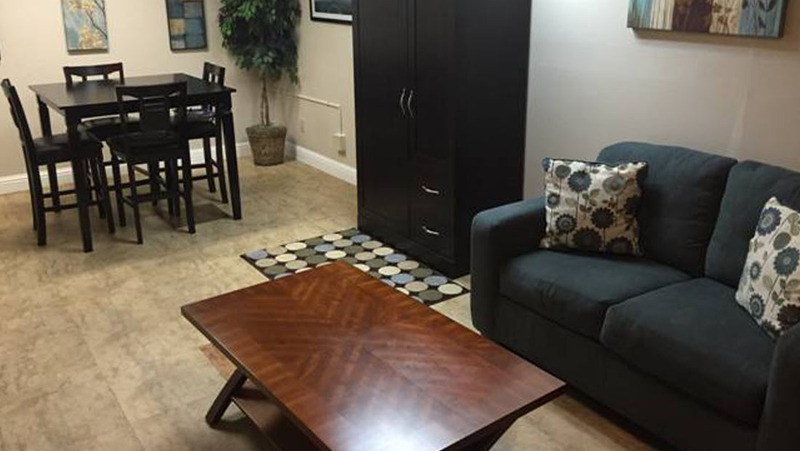 Crestwood Bakersfield offers Dialectical Behavior Therapy (DBT). DBT is a form of therapy developed by Marsha Linehan Ph.D. at the University of Washington that is an evidence-based practice used to treat clients with Borderline Personality Disorder. DBT assists clients in learning skills to help them to regulate their emotional responses to situations that occur in their lives that they may have previously responded to in a self-destructive or aggressive manner. DBT consists of individual therapy sessions that are held weekly with an individual therapist to review events from the past week, and diary cards that a client keeps daily and follows the treatment hierarchy. Also weekly 2-5 hour skills training classes are held that focus on emotional regulation skills, mindfulness skills, interpersonal effectiveness skills, and distress tolerance skills. The Bridge Program is designed for clients who are active in their recovery. The homelike atmosphere is inclusive of clients’ family, friends and other supporters. A dynamic rehabilitative treatment program addresses the diverse needs of clients. Groups are co-created with clients to address cultural, spiritual, psychological, biological and social needs. The Bridge Program provides enhanced services to 15 clients who require increased structure and life skills training. The enhanced services are based on Crestwood’s program design that was the first in California to be written by clients and approved by the California Department of Health Care Services. At Crestwood Behavioral Health Center, community integration and dual recovery are key tenets. Community reintegration is designed for those clients who need help developing some of the basic life skills that will allow them to return to their communities. We accomplish this through classes, therapy, community service and peer mentorship. Many clients participate in a prevocational training program. We also offer an innovative and compassionate program, based on the 12-step principles, that is specially designed for individuals with a dual diagnosis of a mental health issue and drug or alcohol dependency. Crestwood Bakersfield Psychiatric Health Facility (PHF) is a 16-bed program serving clients who are in acute psychiatric crisis. The Bakersfield PHF provides a spacious environment with a living room, welcoming room, a serenity room, group room and a dining room. This program is dedicated to restoring a sense of hope, self-empowerment and recovery in each of our clients. We provide 24-hour RN supervision with a full clinical team including a full-time LCSW. The services include medication management, WRAP, DBT Skill Development, welcoming rituals, behavioral interventions, psycho-therapy, psychosocial education and a thorough transition plan to enable a successful return to the community. Crestwood Bakersfield is accredited by the Commission on Accreditation of Rehabilitation Facilities (CARF), which provides international standards for rehabilitation organizations to follow that promotes the quality, value and optimal outcomes of services. Crestwood believes this accreditation demonstrates our unwavering commitment to achieving and maintaining the highest level of care and rehabilitation.